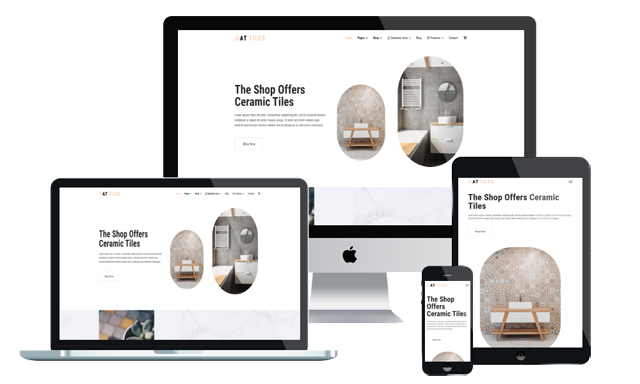 AT Tiles is a fully Responsive Construction Joomla template that suits amazingly for construction material providers, such as floor tiles, wall tiles, bricks,…This theme comes with an elegant but modern design, with suitable content organization, your customers visit your site will get it easy to choose the best product for their home, or project. Especially, you absolutely can run an efficient online business with J2store integration with this AT Tiles, which helps you earn more revenue besides selling outside with traditional stores. Besides, this theme is also fully customizable, it makes sure that your site appearance on any devices are all perfect, with stylish and modern layout. Based on the powerful web technologies such as completely Bootstrap CSS Framework, Support Font Awesome, K2 extended style, AT Tiles will be an awesome option for you to go with!